Start your own Ecommerce Online Portal like Flipkart,Snapdeal in a click with our Advanced Dealkart, developed in PHP and MySQL database. It is a complete Readymade Ecommerce Script which can you use to start your own portal online today. Its very easy, user friendly, Search engine friendly and easily manageable for Site Administrator from one back-end administrator panel and can store tones of data. 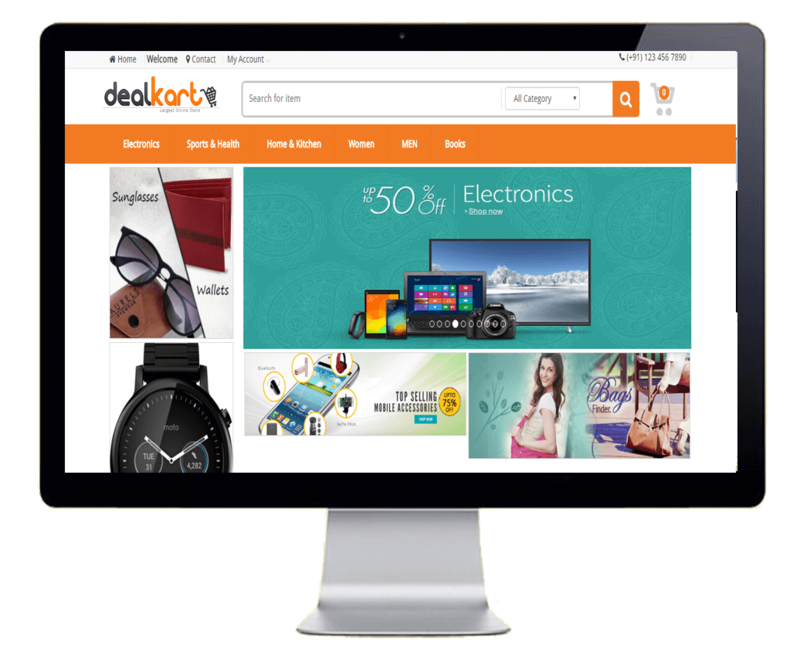 Dealkart is a wonderful solution to launch your own global Ecommerce site. Script is packed with HIGH END features to provide a very sound foundation to your Ecommerce portal site. Script offers great earning potential. Fully customizable colors and graphics of the site make this script very special. Tighten up your site security by restricting access to your website back-office by user role. Each new compnies submission includes the users information and address so you can easily block and/or report them. We are providing six month support and upgrades for the script. Our B2b Marketplace Script built for online businesses of all sizes and run on Php/Mysql enable server so you don't have to worry about the headache of setting up a complex server environment.